Space Junk Toys and policy regarding the Toys (safety) Regulations 1995 act. A toy is classed as ‘any product or material designed or clearly intended for use in play by children of less than 14 years of age’ At Space Junk Toys we look at the general condition and safety of the items before we list them. We would consider all the toys we sell to be safe under normal or reasonable foreseeable conditions of use. Not being toy or safety experts the toys are listed on eBay in good faith. We would not knowingly allow a toy to be sold that was dangerous or unfit for use by children.Buyers who are buying toys or collectables for themselves would have to be 18 years old to have an eBay account; therefore they would not be classed as a child. If however the buyer is buying toys for their own children, or for the children of others who fall into this age category it is the responsibility of the buyer to check the safety of the toy before giving it to the child. Space Junk Toys accepts no responsibility for the safety of any second hand toy sold. If toys have loose or small parts then the buyers should refrain from buying these for their (or other) children, or only allow the child to play with the toy if properly supervised. Buyers check list: When you receive the toy, and before giving it to a child less than 14 years old please check the following: Look for sharp edges and points, movable parts that might trap fingers, detachable parts that might cause a choking hazard, cords and strings that might strangle and packaging that might suffocate. Most toys made after 1990 carry the CE mark. It is reasonable to assume that the toys carrying this mark have been tested by the manufacturer with regard to flammability, chemical properties and radioactivity. However you can’t rely on this to indicate that the product is still safe – it may have deteriorated with age and use. Toys made before 1990 carry no CE mark, so again it is the buyers’ ultimate decision if the toy is to be given to the child without this mark being present. Electrical toys should be tested by a qualified electrician before being given to a child. It is the buyers’ responsibility to make these checks before the toy is handed over to a child. Make sure the second hand toy is clean and hygienic before handing it over to a child. If any of the above points are not clear, or if you have any doubts about the condition of the toy, return it to Space Junk Toys with your concerns and we will refund the value paid plus ensure the toy is destroyed and not resold. To conclude: Space Junk Toys sell good quality vintage toys and collectables, but we sell to buyers who are over the age of 18. Our contract is with this buyer, not the intended child. It is therefore the responsibility of the person buying the toys or collectables to ensure the safety of the child using the toy or collectable. 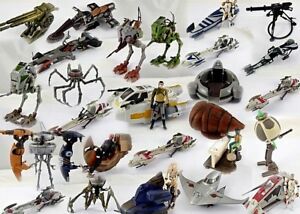 We accept no responsibility for the safety or general condition of the toy or collectable supplied. EUR 3,18 Versandkosten für jeden zusätzlichen Artikel mit den gleichen Versandkriterien, den Sie von kittybutler0 kaufen.